Monitor the performance of key Google Kubernetes Engine and underlying components (e.g. Nodes, Clusters, Pods) in real time and troubleshoot issues before they affect your users. 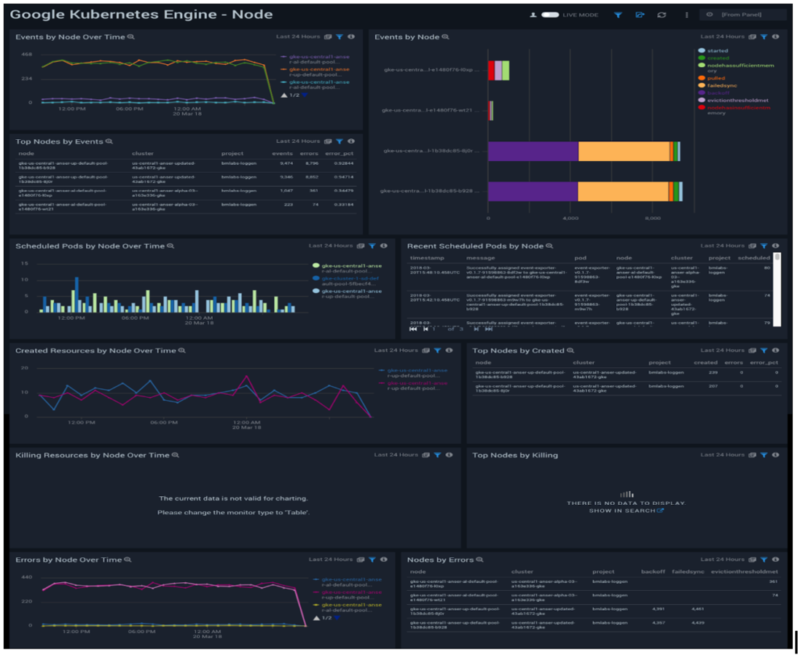 Continuously monitor and detect errors, abnormalities in latency and performance alerts, and resolve inefficiencies immediately for enhanced real-time trending and tracing of Kubernetes components and critical processes. Secure and regulate trust and privacy standards for Kubernetes to manage vulnerabilities, risks and threats to your Kubernetes estate. By integrating directly with Google Stackdriver, Sumo Logic provides real-time observability for critical Google Kubernetes components. 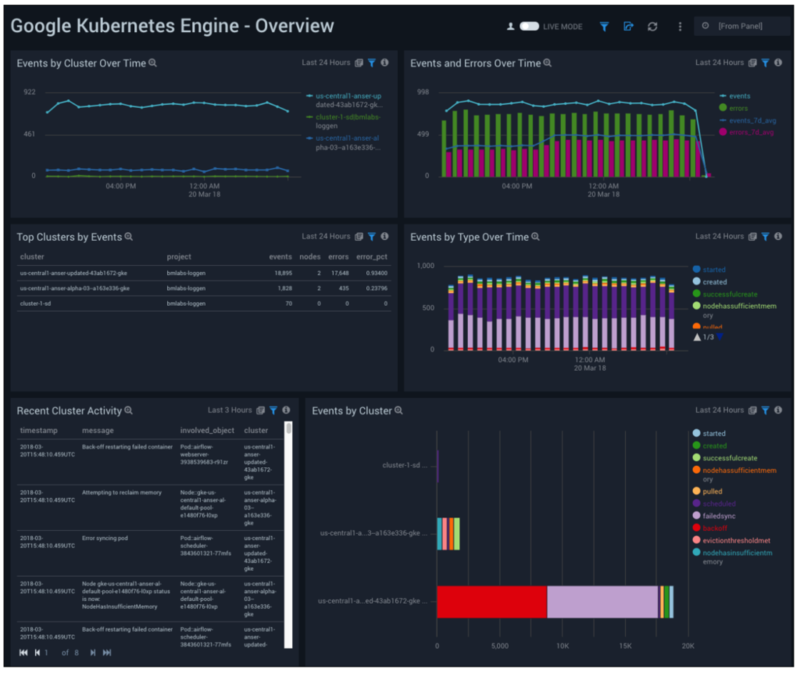 With the Sumo Logic App for Google Kubernetes, gain real-time visibility and analytics through interactive, customizable dashboards. Also trend for unusual traffic patterns, and detect ephemeral data issues and suspicious activity with outlier detection. The Google Kubernetes Overview dashboard provides information for events, errors and activity, including events and errors over time, events by cluster and top clusters by events. The Google Kubernetes Engine Node Dashboard provides node-level information about Kubernetes events, errors, pod scheduling, and created and killed resources. 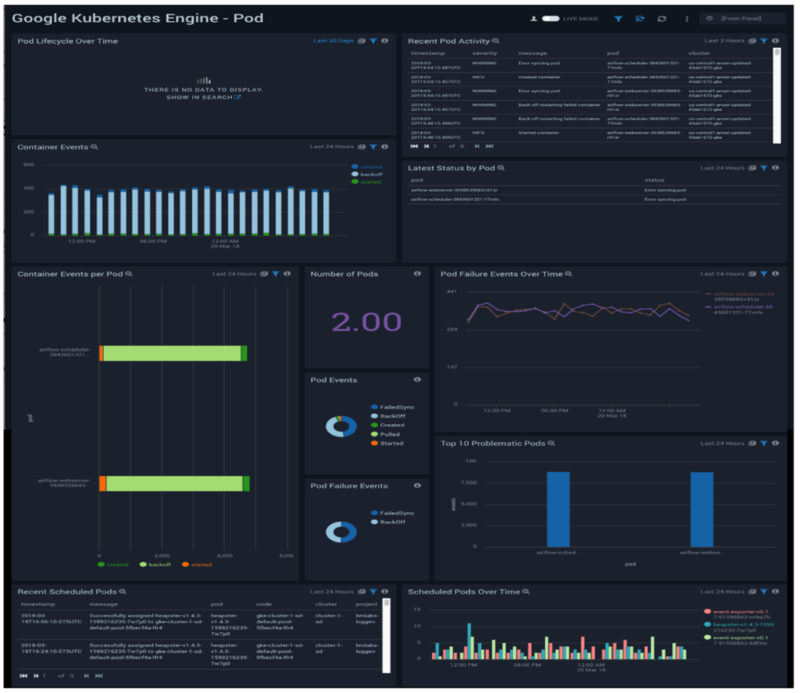 The Google Kubernetes Engine – Pod Dashboard provides pod-level insights, including number of pods, pod events and failures, and pod scheduling. 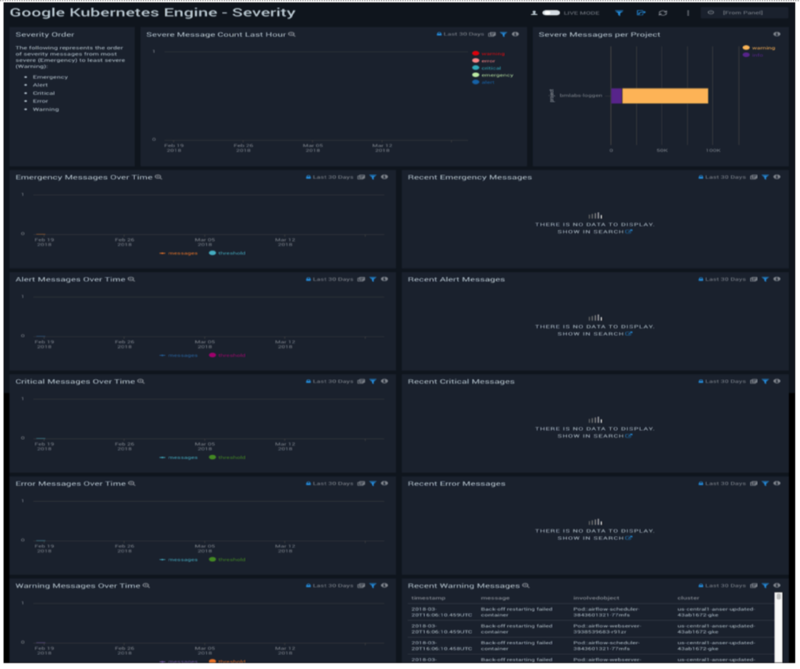 The Google Kubernetes Engine Severity Dashboard provides information about Kubernetes severity messages, including emergency, alert, critical, error and warning messages over time.